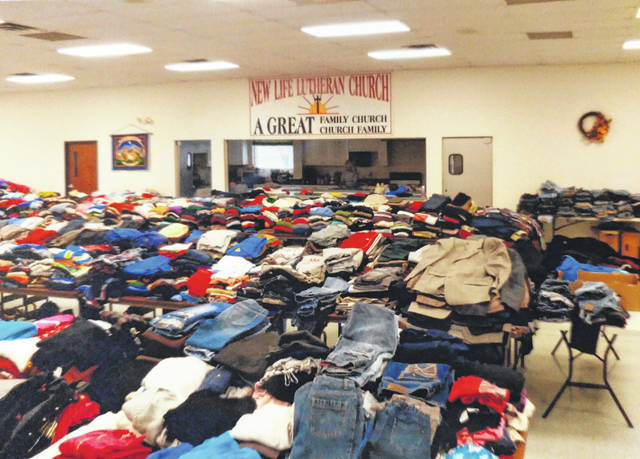 New Life Lutheran Church’s clothing drive will benefit area residents. Leftover clothing will be donated to those in need in Puerto Rico. GALLIPOLIS — New Life Lutheran Church on Jackson Pike will be holding a clothing drive from 9 a.m. to 2 p.m. this Saturday for those in need of new clothing or shoes. According to Pastor John Jackson, the drive was started several years ago by a church member. The church can be found at 900 Jackson Pike. New Life has worked with the Upper Arlington church for easily five or six years, said Jackson. For more information, the church can be reached at 740-446-4889.